We're nerds. We're fascinated by our industry and its themes, issues and potential. We also appreciate that consistent and applied study is the key to being innovative, relevant and effective. Here's where we curate the content that's attracting our attention. Every post includes a link to the underlying content so you can download the material and join in the conversation. Smarter Compliance. The Senate recently passed the Treasury Laws Amendment (Strengthening Corporate and Financial Sector Penalties) Bill 2018. It amends the Corporations Act 2001, Australian Securities and Investments Commission Act 2001, National Consumer Credit Protection Act 2009 and Insurance Contracts Act 1984 and introduces a stronger penalty framework for corporate and financial sector misconduct. Smarter compliance. From November 2018, you’ll be able to access para-planning resources via assuredsupport.com.au. Whether for remediation or just regular activity, our para-planners can prepare Statements of Advice for you using XPlan, Midwinter or Coin or another system. They’ll use your template and complete your request within 7 Business Days. CURATED CONTENT: Despite the provocative nature of this article, we don’t have a particular view on Bitcoin, Ethereum and the various ICOs that attract investors’ attention. While we’re happy to skewer the more pretentious and ridiculous views, we have “strong opinions, loosely held” on cryptocurrencies. Given that advisers and investors are still intrigued by cryptocurrency, we’ve identified five sources that we find are particularly useful. Most compliance people go through life with a song in their hearts and we’re no different (except are hearts and heads are stuffed with tangentially relevant pop music). Because no-one demanded it, we've made our playlist available to everyone. Our playlist contains every song referenced in our articles - even those you might not have identified. Enjoy the playlist and, if you find songs that we've omitted to include, please let us know. The ifa Excellence Awards are the only program benchmarking the success of the independent advice sector in Australia. In fact, most advisers regard ifa as the most trusted source of financial services news. We appreciate ifa recognising us for our thought leadership and other work - Compliance. Risk Management. Licensing. Adviser Reviews. Advice Coaching. Licensee Reviews. Due Diligence. Technology. Investigations. Remediation. Workshops. Dispute Resolution. Training. Policies and Standards. Presentations. 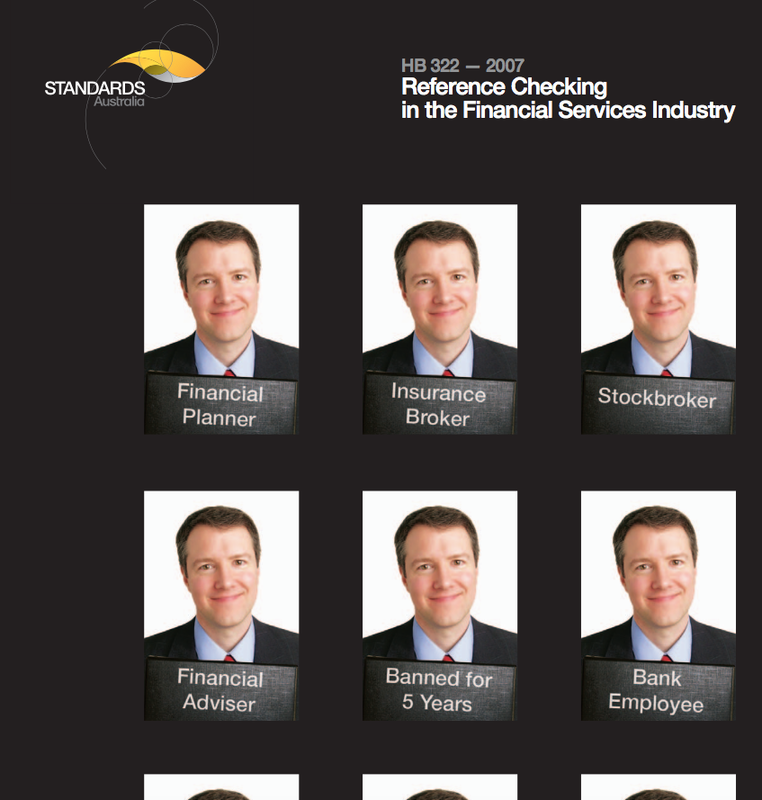 Managed Accounts are becoming increasingly popular, but some advisers (and compliance experts) struggle to understand the different options and how they’re regulated. This presentation is a modified version of one of our relevant training presentations. It focuses on Managed Discretionary Accounts but provides a useful overview of the topic. If you need more, contact us directly. CURATED CONTENT: Conflicts exist in all commercial enterprises and, in businesses providing fiduciary-like services, can manifest in ways apart from group product recommendations and preferential remuneration. Referral arrangements, APL construction and service choices (for example, managed accounts) can, and often are, situations where the interests of the licensee conflict with the clients' interests. This article introduces three sources we've found useful for identifying conflicts and considering how to manage those that can't be avoided. n March 2018, one of our team, Sean Graham, will be presenting a session at the ifa Business Strategy Day titled "Legislative Update: The rise of regtech and the art of the SoA". Positioned as an "update on the compliance and legislative landscape", the session aims to challenge industry assumptions about disclosure, independence and professionalism and demonstrate why an investment in regulatory technology is critical for sustainability. "Rivers of Gold: How the Trade Union Movement is funded by Industry Super" is a 2017 report by Morgan Begg and Simon Breheny published by the Institute of Public Affairs. Those of us working in retail financial services have at least a passing familiarity with both the 'sole purpose' test and with conflicts of interest. This report suggests that the Industry Funds would benefit from some remedial training on these issues. Few compliance professionals stumble across serious financial crime, but this fact should engender increased vigilance rather than complacency. This 2017 report from the Australian Criminal Intelligence Commission addresses fraud, virtual currencies and the role of financial professionals in organised crime in Australia. 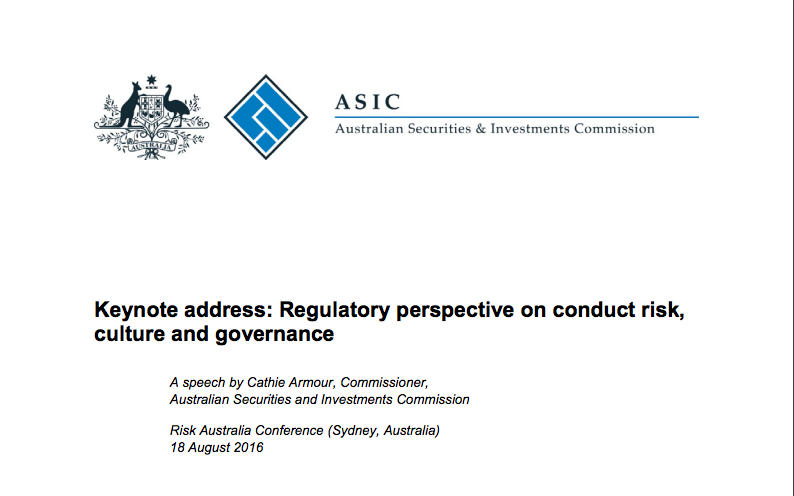 The Australian Securities and Investments Commission (ASIC) may lack the powers necessary to effectively regulate the financial services industry but Position Paper 7 "Strengthening Penalties for Corporate and Financial Sector Misconduct" outlines the powers, penalties and changes ASIC think are needed. 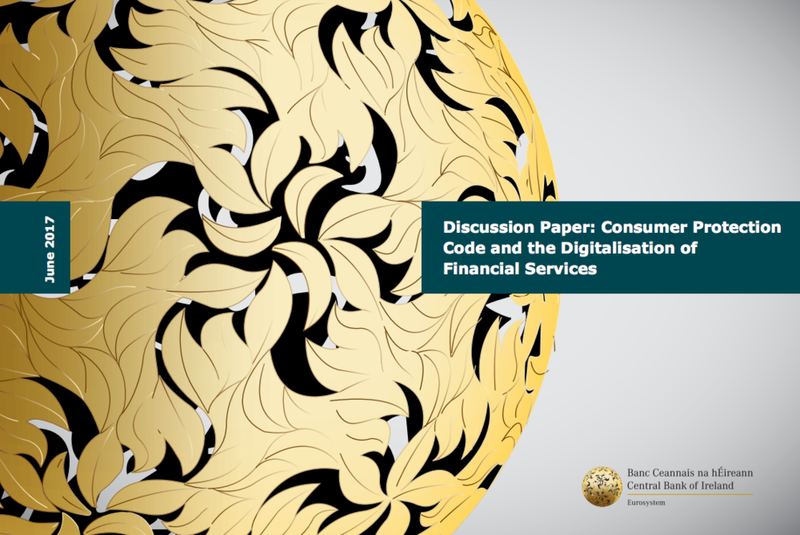 This report from the Central Bank of Ireland provides a well considered perspective of the key challenges for digital financial services and identifies accountability as a critical consumer issue. A must read for anyone interested in fintech or regtech. The Banking Executive Accountability Regime (BEAR) is the topic du jour for most vertically integrated financial services businesses. BEAR may be a necessary change to prevent future scandals, but it's worthwhile noting PWC's perspective. 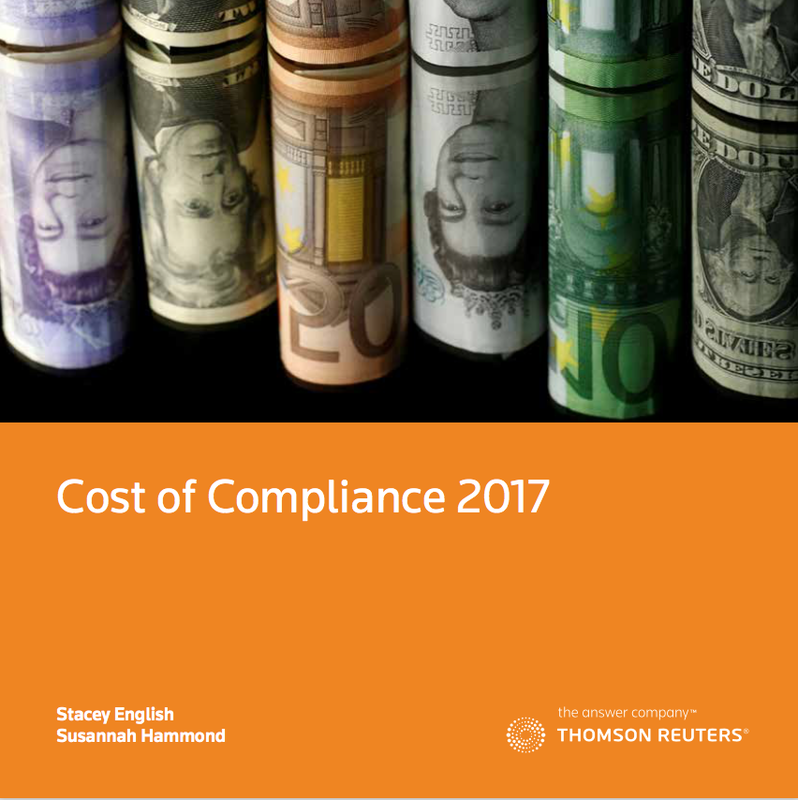 Thomson Reuters' publish some exceptional research on compliance. 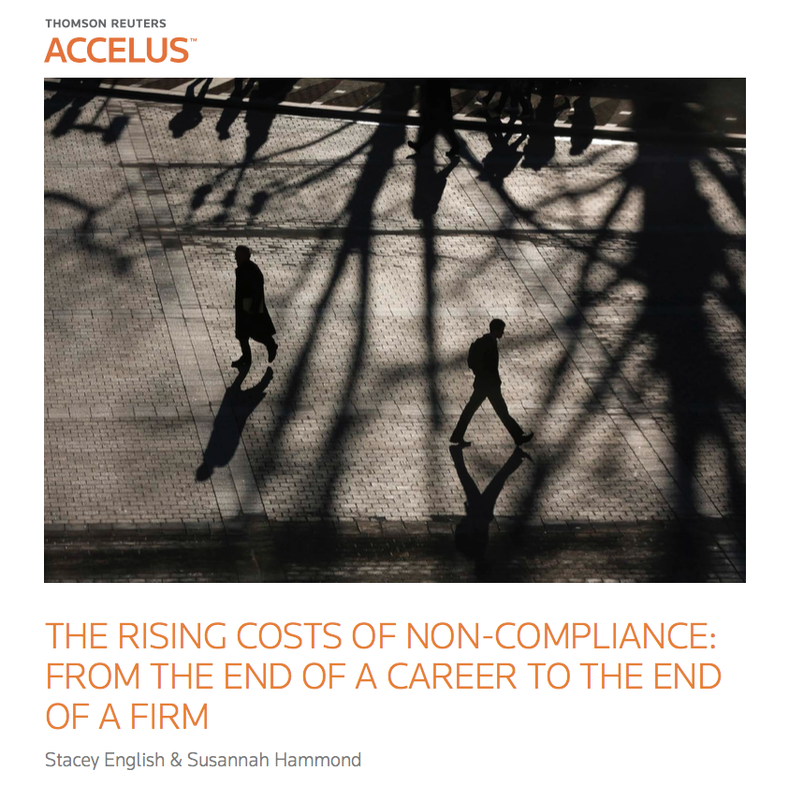 This report looks at the risk/benefit tradeoff and notes that "Many of the compliance failures and weaknesses in systems or procedures that are now being punished are a direct result of that cost cutting." Ian Pollari and KPMG have great insight into the Australian Fintech Landscape and this graphic show the sheer diversity and size of the sector. Our product, openAFSL, is shown in the Regtech sector. This report is a compelling read for anyone interested in Culture and regulation. Consider it in the context of ASIC Commissioner Greg Medcraft's exhortation to financial advisers to restore "trust and confidence" and the New South Wales Court of Appeal's decision in Commonwealth Financial Planning Limited v Couper  NSWCA 444.
why governance, culture and conduct matters. There's been a lot written about 'bad apples' in the financial services industry and their ability to move between Licensees undetected. They're undetected because most Licensees don't look. In 2007, ASIC, Australian Standards and the Industry released a practical "How To" Guide. Read it. Implement it. "the value of financial advice is very hard to assess, which generates a significant challenge in defining and applying what is meant by ‘best interests’, for the benefit of consumers, regulators, and indeed advisers themselves." Press the button below to access our videos and other online training material. The Banking Executive Accountability Regime (BEAR) is inspired by the FCA's Senior Managers Regime. This provides a solid overview of the UK accountability regime. English and Hammond's regular reports on the Compliance sector should be required reading for Australian Compliance experts. Understand what's happening internationally so that you can anticipate and prepare. An international perspective of the key challenges and the key issue. Where different specialist actors are responsible for different parts of that chain or where traditional firms are partnered with non-financial services firms, consumers may find it harder to ascertain which services are regulated and what their rights are if something goes wrong. Planet of Finance have published an excellent overview of robo-advice with a focus on the international experience. To paraphrase Luis Rivera, the CEO of ETFMatic "Advising is necessary, advisers are not."